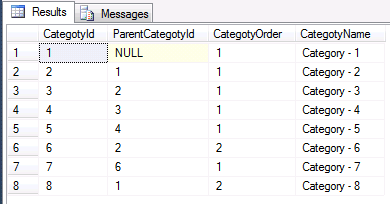 CTE (Common Table Expression) is best feature to get the hierarchy of the data and hierarchical depth. Using CTE we can also get the data easily by level wise with parent and child relation. 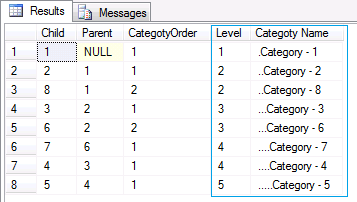 Recently when i working with stored procedure, at that time i was need to develop the logic to get the data in hierarchical order. I did it with CTE easily. Today i am going to demonstrate CTE with small examples. You can see how CTE can help to get the data and the hierarchical relation of records.